Dr. Calabria has been at the forefront of stem cell rejuvenation for years, providing his patients with precise and natural-looking results. The stem cell-enriched facelift surgery is a revolutionary facial fat grafting technique that lifts the muscles, recreates the natural framework, and improves poor skin texture. By injecting stem cell-enriched fat into the facial tissues, Dr. Calabria restores lost volume and offers patients a youthful aesthetic that lasts. This cutting-edge procedure is a culmination of more than 20 years of work, and it is the natural evolution of the vertical facelift, which Dr. Calabria pioneered nearly a decade ago. How does Stem Cell Facelift procedure work? The stem cell facelift procedure involves vertical facelift techniques performed in conjunction with stem cell-enriched fat grafting to address poor texture and volume loss concerns as well as tissue tightening. Liposuction is first harvested from areas of the body with excess fat deposits, and then the fat is purified using the Celution® device. Purified stem cell-enriched fat cells are injected underneath the facial musculature or into the superficial muscular aponeurotic system (SMAS) to restore volume to recessed areas. The facial tissues are then redraped, repositioned, and lifted vertically to avoid an unsightly, “wind swept” look. This procedure can be completed in the same amount of time as traditional facelift surgery. How long will it take for me to recover from a Stem Cell Facelift procedure? Because of the sophisticated techniques involved in a stem cell facelift, this procedure requires less recovery time than the traditional facelift surgery. 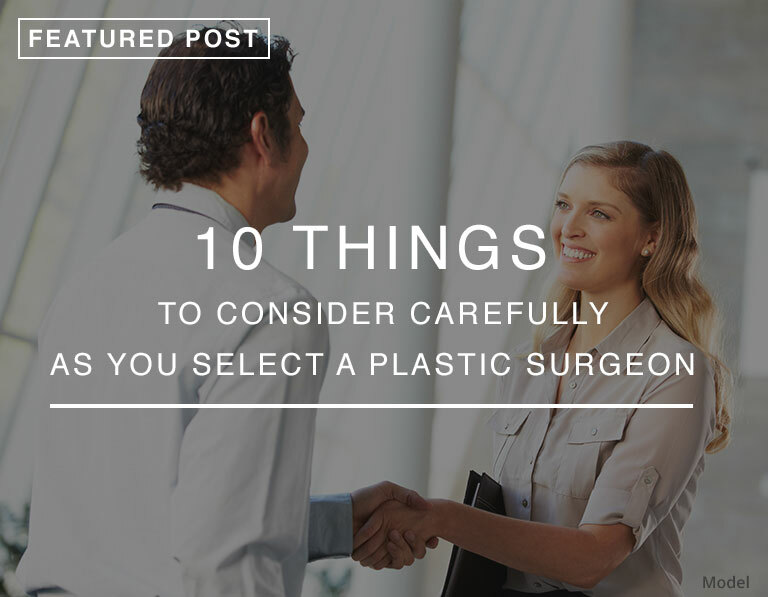 Only two incisions are used, leading to less scarring than other facelift methods. Patients may experience some post-op discomfort, which they can manage using medications provided by Dr. Calabria. Any bruising and swelling should subside after three weeks, and most patients can resume normal activities within 10 to 14 days after surgery. What are the Results from a Stem Cell Facelift Surgery? Patients can expect long-term enhancement due to the regenerative nature of the stem cell-enriched fat. Instead of only addressing skin laxity, the stem cell facelift surgery addresses several facial concerns, leading to results that are far superior to that of more traditional approaches to facial rejuvenation. Looking for a more attention to details facelift using Stem Cells? Click here to Learn about our Enhanced Stem Cell Facelift.